With over 23 million copies sold, over $1.5 billion in revenue and the second largest opening weekend in the history of gaming (over $725 million in revenue in its first three days of sales), Rockstar Games’ Red Dead Redemption 2 is one of the most popular video games of all time. Success, however, is often a double-edged sword when it comes to intellectual property matters – the more financially successful a project, the more likely third parties will assert potential infringement claims. 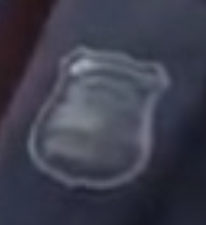 Red Dead Redemption 2 is no exception – having become embroiled in a lawsuit against perhaps the most famous private detection agency of all time: the Pinkerton National Detective Agency. 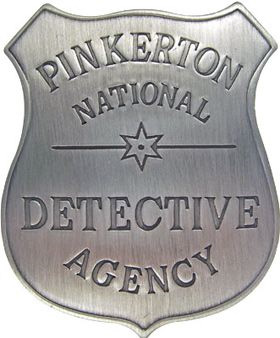 According to court documents, on December 13, 2018, the Pinkerton National Detective Agency (currently operating under Pinkerton Consulting & Investigations, Inc. and Pinkerton Service Corporation) sent a cease and desist letter alleging trademark infringement of the various PINKERTON® registrations. On January 11, 2019, Rockstar Games and its parent entity filed a lawsuit in the Southern District of New York seeking a declaratory judgment that Red Dead Redemption 2 does not violate any of the PINKERTON® trademarks. One important, practical lesson illustrated by this case is the potential litigation exposure which a rights holder incurs by sending a cease and desist letter to a potential infringer. Many rights holders do not realize that by simply sending a cease and desist letter to a potential infringer, the rights holder could be exposed to a declaratory judgment lawsuit. Such strong letters, however, have often been held to be sufficiently definite to be actionable, i.e., to satisfy the Constitution’s “case or controversy requirement” thereby vesting Courts with jurisdiction to hear the case. To help avoid a potential declaratory judgment action, a rights holder could draft a cease and desist letter to be more “indefinite,” e.g., to use wording which lacks an immediate threat. For example, raising the specter of, but not actually threatening, litigation, to wit: “we call upon you to review your actions in light of this notice of our rights and to take the appropriate action to make sure that our rights are respected in the future.” Additionally, not specifying a “date certain” by which remedial action must be taken can be helpful in defeating a declaratory judgment action on the basis of ripeness. Self-evidently, there is an obvious, practical tradeoff: the real purpose of a cease and desist letter is to quickly compel a potential infringer to stop its objectionable conduct without the rights holder having to file a lawsuit. A “vague,” non-threatening letter could be seen as “toothless” by a potential infringer and fail to result in any action. Whether a cease and desist letter exposes a rights holder to a declaratory judgment action is a nuanced, fact-intensive inquiry that needs to be evaluated on a case-by-case basis. If you are considering whether to send a cease and desist letter to a potential infringer, or if you have just received a cease and desist letter threatening you with litigation, call us today for a free consultation.